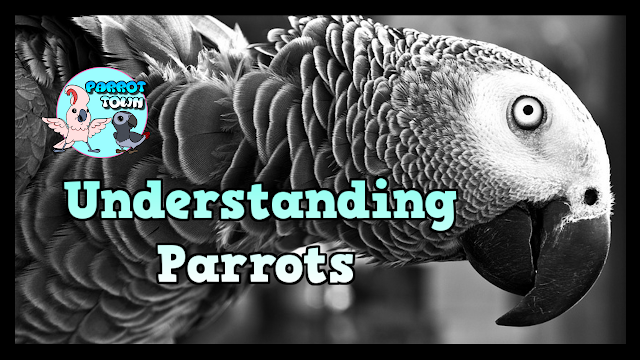 Understanding parrot behavior and body language can seem incredibly complex, and at times it is; if you don't know the bird. While there are general rules of thumb when it comes to all species of parrots, each bird is uniquely individualistic and more times than not, will disprove/go against many "rules". However, if you are new to parrots, it is Highly advisable to follow the general rules until you get more familiar with your own bird's body language. By doing so, this can greatly reduce the chances of you getting bit by your parrot. But, please keep in mind that if you intend to care for parrots, getting bit is an inevitability! Even the most seasoned bird parent can misread their feathered companion's body language. When I first started caring for my own flock, I got myself a copy of Mattie Sue Athon's book Guide to a Well-Behaved Parrot. This is a wonderful book for beginners. Heck, I even find myself re-opening from time to time, still! The book is written in plain language, covering virtually all topics regarding parrot care, and chocked full of beautiful photographs of parrots. I couldn't recommend it enough to newbies. Don't believe me? Check out the reviews on it! I also want to share one of our past episodes of Parrot Talk titled: Parrot Body Language | How to Avoid Parrot Biting (below). Parrot Talk is a YouTube Live Stream we do 3 times per week, covering a different topic regarding parrots! 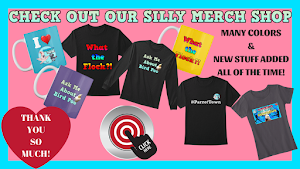 It's an interactive bird community live stream series that has wonderful bird lovers of all levels of expertise coming together and discussing various tips and tricks! So, if you're new to birds or just love hanging out with like-minded silly bird people, be sure to subscribe and hit the notfications bell on our channel at YouTube.com/ParrotTown!